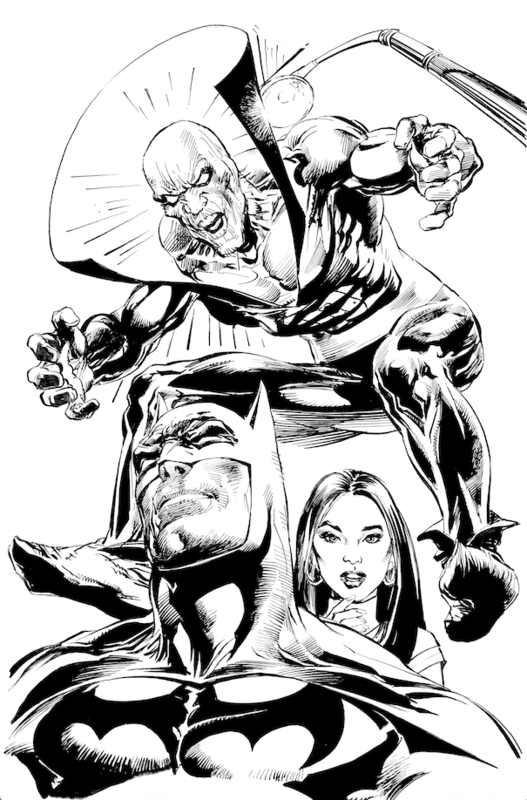 13 DAYS OF THE NEAL ADAMS GALLERY: Batman, Talia and Deadman! Home » BATMAN'S HOT-LINE » 13 DAYS OF THE NEAL ADAMS GALLERY: Batman, Talia and Deadman! PLUS: Adams teases his new Deadman series! 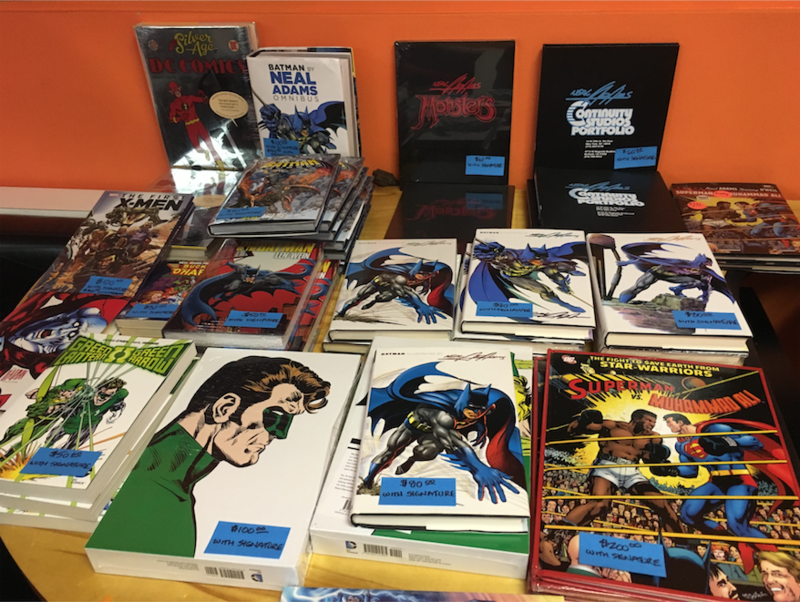 Neal Adams’ permanent art gallery at his Midtown Manhattan studio is now complete and we’re giving you an EXCLUSIVE inside look with 13 DAYS OF THE NEAL ADAMS GALLERY. Each day, we’re highlighting one of the pieces of art that adorns the walls of the gallery, complete with Neal’s EXCLUSIVE commentary. You’ll see a diverse selection of pages and covers featuring the characters for which Adams is best known. The gallery, which is open to the public, is located at 15 W. 39th Street. Admission is free but you have to call first before you come over (212-869-4170). For tons more info on the gallery and what you can see — and buy — there, click here. 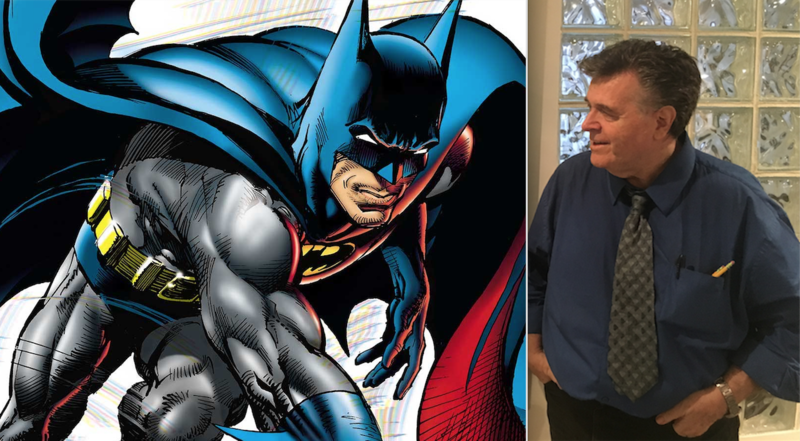 For the complete 13 DAYS OF THE NEAL ADAMS GALLERY INDEX of stories, click here. OK, if I’m going to do 13 DAYS OF THE NEAL ADAMS GALLERY, then I am most definitely going to start with Batman. Anyway, while wandering around Adams gallery, there are a number of pages that really jump out at you. For me, a lot of them tend to be splash pages because of their obvious dramatic boldness. A scan of the original, full-size art. This is from Batman: Odyssey #5 and looks like it was ripped right from 1971 or so, doesn’t it. The drama and impact are vintage Adams. Caroline Munro on the left. Talia (from Batman #232) on the right. NEXT: A Tribute to JOE KUBERT. Click here.